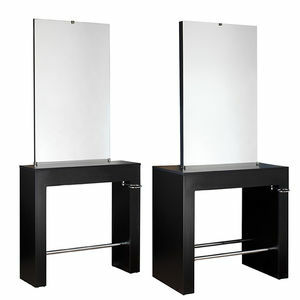 The Comair Swiss Styling Station is a great value, simple, yet attractive salon styling unit. 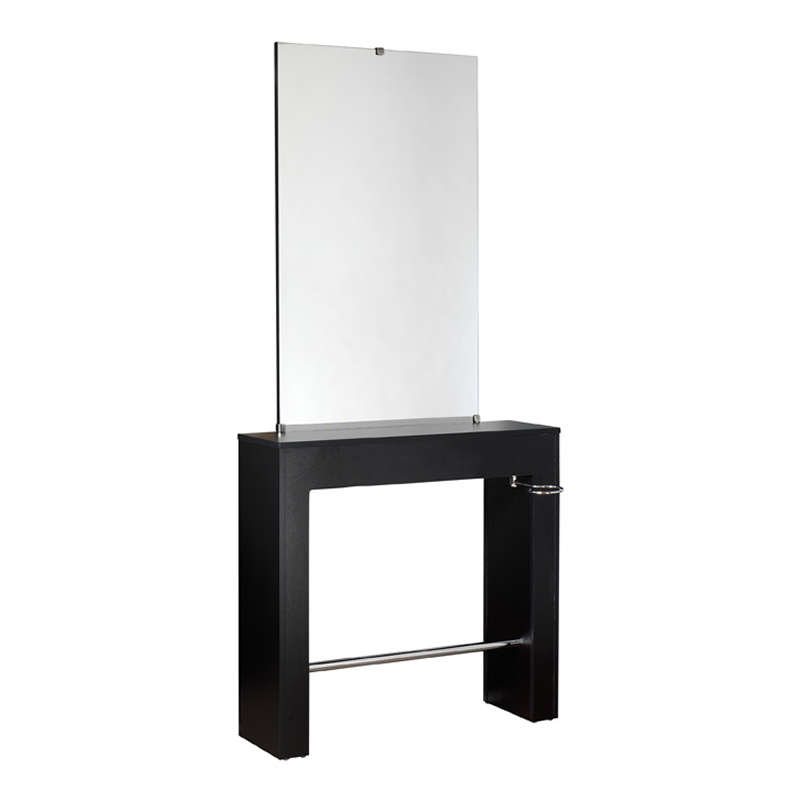 It's veneered in beautiful dark wood and incorporates mirror, a fold-out hairdryer holder and an integrated foot rest. There's plenty of shelf space in front of the mirror for all your stylists' commonly used items and the open style is ideal for the salon looking to maintain a clean and uncluttered look. 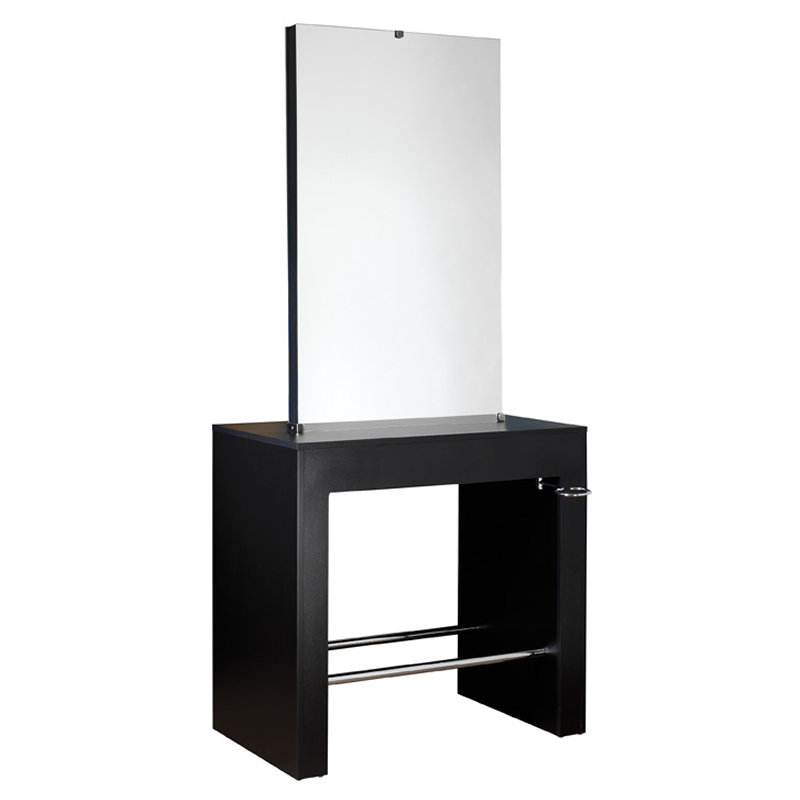 The Comair Swiss is available as a single unit designed for your salon walls or as a double unit that gives you styling space on both sides for a series of styling stations in the middle of a room. It measures 190.5 (h) x 82 (w) cm. The single unit is 25.5 cm deep, while the double is 48.6 cm. £466.80 (inc. VAT) Why no VAT? We're a trade wholesaler and quote our prices without VAT to help our VAT-registered customers understand the true cost of a purchase. Save 10% when you buy more than one Comair styling unit.